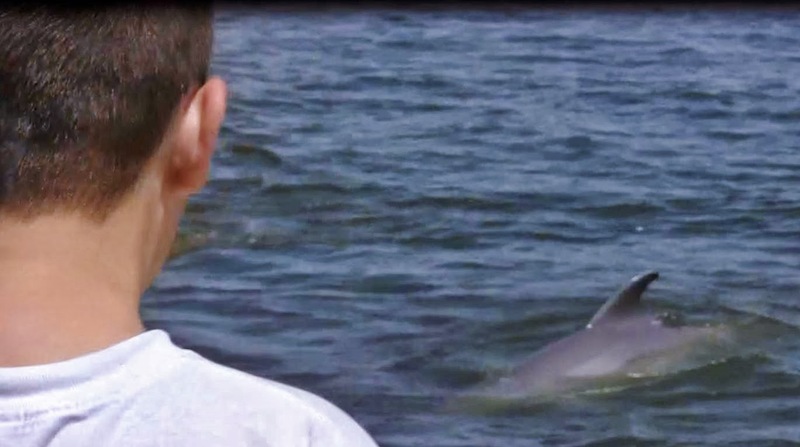 The Best Private Dolphin Cruise in Gulf Shores or Orange Beach in 2015 (So Far)! We enjoyed the best private dolphin cruise in Gulf Shores, AL so far in 2015 last night. With a fantastic, beautiful sunset, seagulls, dolphins playing nearby. Please enjoy this video and contact us today to reserve your private sunset dolphin cruise. We also offer: Sunset cruises; cocktail cruises; dinner cruises; sailboat cruises; Stand up Paddle Board rentals; Kayak Rentals, and pontoon boat rentals in Orange Beach. Want a private cruise for your family in Gulf Shores and Orange Beach, Alabama? Want to see dolphins up close? Hate crowds? Well, this private dolphin cruise if for you. Gulf Shores Boat Rental conducts private sunset cruises, dolphin cruises, and other types of cruises daily throughout the summer. Contact us today to discuss your dates and to make a reservation! Wondering what to do in Gulf Shores that will be fun and memorable for your family or group? A private dolphin cruise is the way to go. Departing nightly from Gulf Shores, AL and Orange Beach, AL, our private dolphin cruise gives your family or group the opportunity to spend time together - not with a bunch of strangers - touring the back bays where dolphins go to feed and play. The big boats can't get there, so you'll have the opportunity to see dolphins up close, in their natural habitat. You can take pictures, shoot video, and enjoy an amazing sunset, too. Just watch the video, below, and then contact us to reserve your private dolphin cruise today! Just click on the phone number or email address below to reach Gulf Shores Dolphin Cruises! We also offer: Private dolphin cruises in Gulf Shores; Sunset cruises in Gulf Shores; cocktail cruises in Orange Beach; picnic cruises in Gulf Shores; dinner cruises in Orange Beach; wakeboarding and tubing trips in Gulf Shores; Stand-up Paddle Board Rental and pontoon boat rentals in Orange Beach. Our private family dolphin tour is an adventure your family will never forget. You'll have the opportunity to get up close to see dolphins playing in their natural habitat. Not only are the big dolphin cruise boats full of strangers, but they also can't get into the shallower waters where dolphins go to feed at the end of the day - and the sunsets aren't bad, either (just lake a look at this video we shot during one of our cruises). There is nothing like a beautiful sunset, surrounded by dolphins, as coastal birds sing overhead. Contact us to schedule your private dolphin cruise today! Just click on the phone number or email address below. Why go on a dolphin cruise with strangers? Our private dolphin cruise gets you and your family or group up close to see dolphins playing in their natural habitat. Unlike our cruise, the big boats can't get into the shallower waters where dolphins go to feed at the end of the day. Just take a look at our videos on the right side of this page, or on our YouTube Channel. There is nothing like a beautiful sunset while surrounded by dolphins as coastal birds call overhead. Contact us to schedule your private dolphin cruise today! Just click on the phone number or email address below. There is nothing more beautiful than the opportunity to watch dolphins playing up close, in their natural habitat, with a gorgeous sunset on the horizon. We specialize in providing our guests with the only private dolphin cruise in the Gulf Shores area. Our private dolphin cruise offers your family or group several advantages. First, you won't be on a boat with 60 strangers. It will just be you, your family, or friends. Second, the big boats cannot go into the shallow waters, where dolphins go to feed at the end of the day. We rarely miss seeing dolphins feeding and playing near our boat. Take a look at the video below, and all of the videos on the right-hand side of this page. Then, contact us by clicking on our phone number or email address, below, to reserve your private sunset/dolphin cruise today! 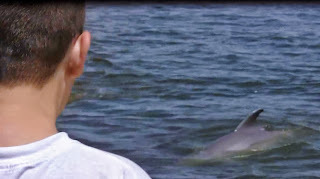 Gulf Shores Dolphin Cruises provides guests with the private opportunity to see dolphinsin their natural habitat, up close. On the horizon, you'll see a beautiful sunset. Overhead, you'll hear the sound of a million coastal birds. 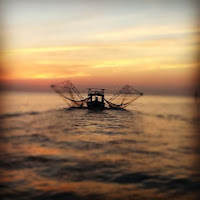 From the nearby harbor, you'll see shrimp boats heading out for a night of fishing. Private Dolphin Cruises in Gulf Shores, Orange Beach, Fort Morgan AL and Perdido Key, FL. 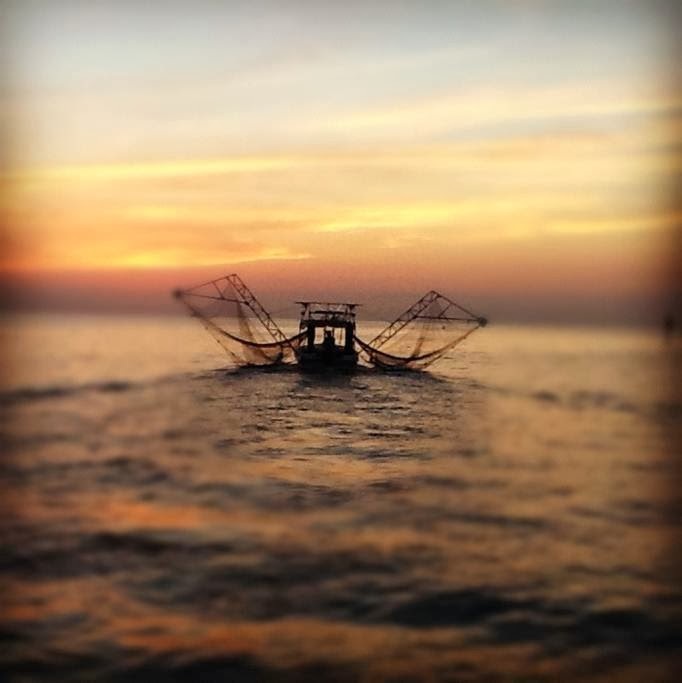 Enjoy a private sunset dolphin cruise with Gulf Shores Boat and Paddlesports Rental, Gulf Shores, AL 36542. Phone: (251) 923-8205. Our 26' South Bay seats groups up to 12.